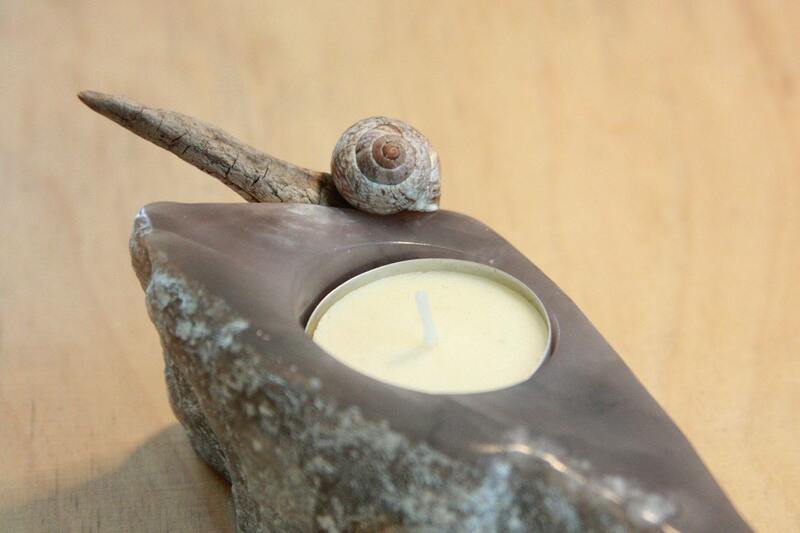 “TIMO” – bring a little light to your home with this lovely tealight holder in extraordinary colour. 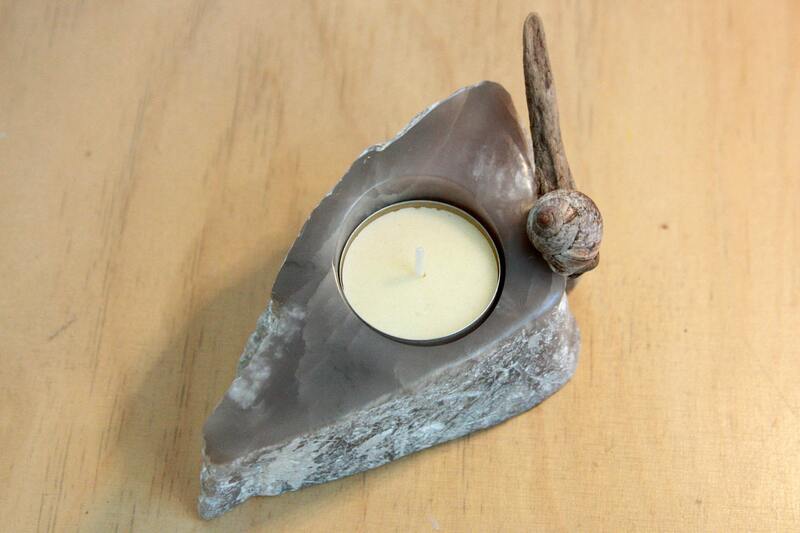 This unique stone art object is handcarved, made of Chinese steatite. 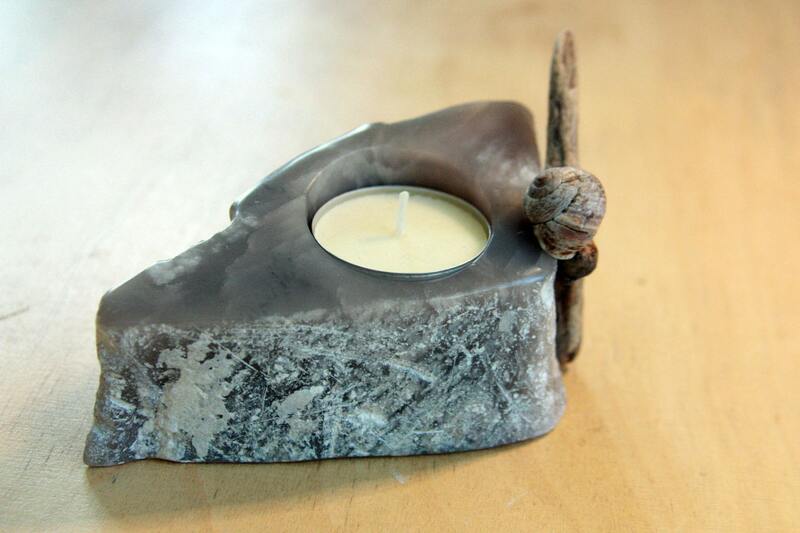 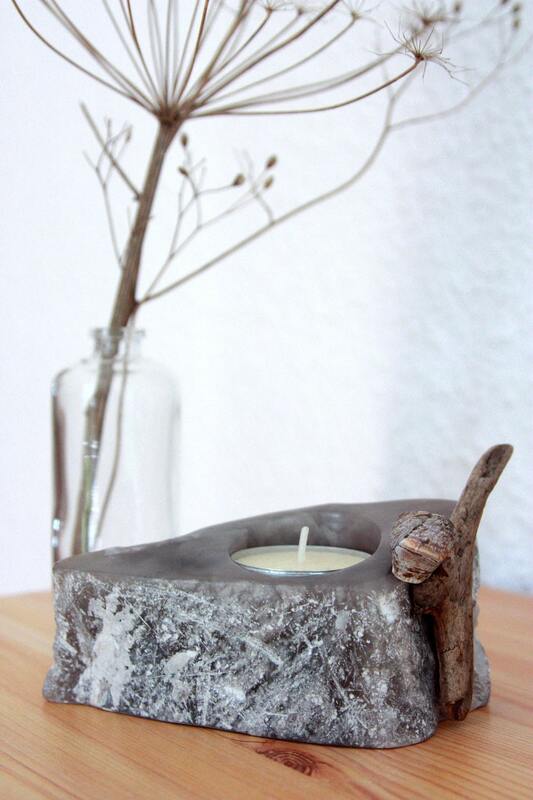 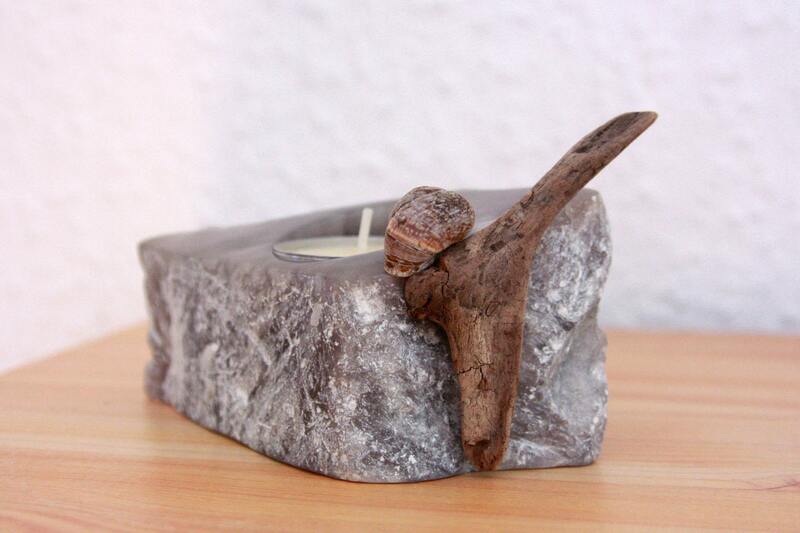 A little piece of Baltic driftwood and a delicate sea snail huddling against the raw side of the stone.